Achievement: Laid the foundations of the Birla Empire; founder of the Federation of Indian Chambers of Commerce and Industry (FICCI). Ghanshyam Das Birla is considered as a doyen of Indian Industry. He was the man who laid the foundations of the Birla Empire. G.D. Birla was a multi-faceted personality. He was a close associate of Mahatma Gandhi and advised Gandhiji on economic policies. He was the most important pre-Independence contributor to the Indian National Congress. Ghanshyam Das Birla was the founder of the Federation of Indian Chambers of Commerce and Industry (FICCI). He is also popularly known as the builder of Birla Mandirs. Born on April 10, 1894, G.D. Birla, was a native of Pilani. His grandfather Shiv Narayan Birla was a traditional marwari moneylender. Ghanshyam Das Birla entered the business arena during the time of First World War. He established a cotton mill in Sabzi Mandi, and later on established Keshoram Cotton Mills. Along with cotton mills he diversified to jute business and shifted his base to Calcutta city in Bengal, the world's largest jute producing region. He established Birla Jute Mills in Bengal, much to the consternation of established European merchants. In 1919, with an investment of Rs. 50 lakhs, the Birla Brothers Limited was formed and a mill was set up in Gwalior. In 1930s, G.D. Birla set up Sugar and Paper mills. In 1940s, he ventured into the territory of cars and established Hindustan Motors. After independence, Ghanshyam Das Birla invested in tea and textiles through a series of acquisitions of erstwhile European companies. He also expanded and diversified into cement, chemicals, rayon and steel tubes. Ghanshyam Das Birla also founded several educational institutions. Birla Institute of Technology and Sciences (BITS) Pilani has today evolved into one of India's best engineering schools. He also established many temples, planetariums, and hospitals. 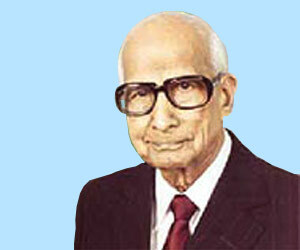 Ghanshyam Das Birla died in 1983 at the age of 90. In his honour, G.D. Birla award for scientific Research has been established to encourage scientists for their contribution in the various fields of scientific Research.